→ The Second Class bus is called Oriente (orange color). → For travel between Pisté and Mérida, use either First or Second Class; either Oriente or ADO. Oriente is the second class bus line that serivces all locations in the Yucatán Peninsula. If your trip is fairly local, say within 1 hour travel time, then the local bus works fine in Yucatá This includes travel from Merida to Piste, Izamal, Progresso, Sisal; between Piste and Valladolid; or between within the Puuc region. Any travel of greater distance/time, you are better off traveling on First Class Bus as the you are automatically increasing the number of stops and time. Thus a trip from Merida to Cancun by car is 5 hours, by first class bus is 6-7 hours, but by second class bus nearly 12. Travel from Cancun to Valladolid or poinst west should be First Class if you have the option. Getting To Holbox would require a drop off on the main highway and then a cab to the coast. ADO is the 1st Class bus line that services all the Yucatán Peninsula including Maya Riviera and connections to the rest of Mexico. You can check the ADO bus schedule on their website. This url has changed often so if the webpage listed below is not good, simply do a search on ADO Bus Mexico. ADO has a luxury class called UNO and a special super luxury class service called GL. Instead of the usual 4 seats in a row, the GL has three seats per row with totally horizontal reclining capability. These are pricey compared to the low income wages of Mexico but for foreigners these are actually quite nicely priced. For a European used to paying Euros the price I believe is reasonably LOW and the quality high. But these are not for backbackers and student on a budget thats for sure. The luxury UNO and GL are strongly recommended for long distance routes that cross the peninsula «« for example Mérida - Cancun; Cancun - Campeche; Merida - Chetumal; Cancun-Chetumal » » or that take you from Yucatan to other parts of Mexico. If you want to travel from locations that are major destinations in Yucatán -- such as Cancun, Playa del Carmen, and Mérida or Chetumal and Campeche -- to places in central and northern México, then there are other options. You may consider using one of the other Mexican national bus lines. You can access those lines and routes through the online national bus line ticketing service. Do a search on Bus lines in Mexico and specify the city, state or region. Do not try to buy your ticket online. It is not economic or worthwhile or necessary. The online system is clumsy. You must manually change the drop down menus to select all possible times. Select and check for departures for Morning, Afternoon, Evening times of the day. It does NOT automatically display the FULL schedule of available routes. .
Cancun Airport There is bus kiosk in the parking lot of Cancun airport. It is located in both the Domestic Terminal 2 and International Terminal 3. If going TO the airport on the ADO shuttle from Cancun City, make sure you get off at the correct terminal. The online ADO schedule allows you to check for times of buses going to and leaving from the Cancun Airport as well. Cancun Cancun main bus station. Both first class ADO brand and seconnd class Oriente bus lines sell tickets in this bus station. If you buy tickets in the bus station make sure you buy from the ADO First Class Bus company. The ADO ticket counter is to the right when standing in the main double door glass entrance facing the ticket counters. Chich�n Itz� when checking online bus schedule, use "Chichén Itzá" AND Pisté -- that is, check both destinations or departure points as there is different service to both, but they are within walking distance and any bus that goes to one goes to the other! Buy your ticket for Piste, but make sure you do not get off the bus at Chichen. Tell the bus driver you are getting off in Piste. 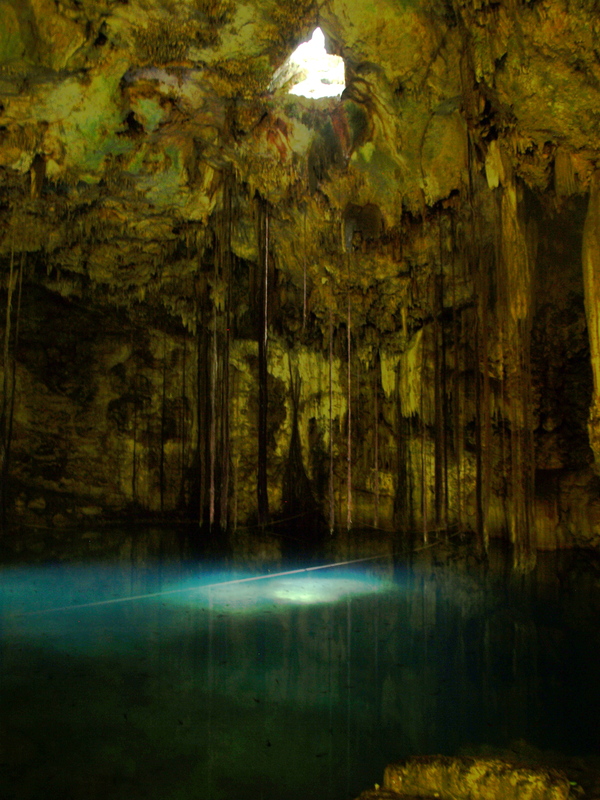 Pist� checking BOTH "Chichén Itzá" AND Pisté as a destination or arrival location. Read above. You should be dropped off on the main road any where between downtown Piste and the Hotel Piramide Inn. Search google maps to find OSEA and Piste. Make sure you learn the walking instructions or be ready to ask one or more persons where Quetzil lives. Or be ready to pay for a taxi, $30 pesos. Mérida When checking on line for the bus schedule use "Mérida Came" for Mérida to get dropped off or depart from downtown. The other Mérida bus station is in the northern suburbs of the city. Playa del Carmen The bus station marked as Playa del Carmen Altern seems to be disfunctional. check it but not freak if there are no routes. Online Schedule of Bus Routes in Mexico. Remember do not try to purchase a ticket on this website. Even if it were possible the exchange rate would make a $5 ticket into a $20 banking nightmare. Also the system is clumsy, and you have to manually change the time of departure from morning, afternoon, evening to get the FULL schedule of available routes. Tinker with the settings but you will get the information. Note you CANNOT buy a ticket online despite the advertizing. You must by them in person up and you can buy them up to two days in advance of the travel date. Remember the systems are horribly designed websites. You need to check all time periods of midnight-morning, morning, afternoon, evening. There are many bus stations in Mérida. The main bus stations are on Calle 69 at the corner with Calle 70 (see information about Merida street system). The 1st Class ADO Bus station is called CAME. It is located on the north side of Calle 70 across from the 2nd Class Oriente bus station. There is a satelite 1st class ADO station out on calle 60 right next to the Hotel Fiesta Americana and is called Fiesta Americana Bus Station in Merida on the online bus schedules. You can mostly forget about this station except to ask when you buy a first class ticket or online checking routes -- There is only one route from this station and it the Merida to Cancun Airport route. The Oriente Second Class Bus Station is called Terminal de Autobuses on Google Maps. 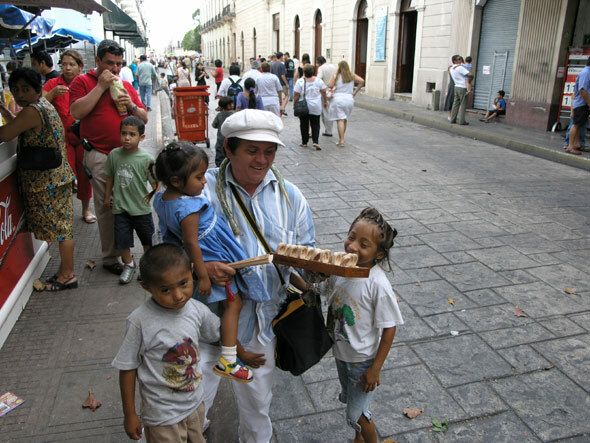 It is located on Calle 69 between Calles 68 and 70. The ADO First Class Bus Station is called the CAME Terminal. It is located just around the corner from Oriente bus station, on #555 Calle 70 between 69 and 71. The ADO First Class Fiesta American Bus station is located next to the Hotel Fiesta Americana on Calle 60 at the corner with Avenida Colon. On the google map its the building BEHIND the OXXO Convenience store. It is also incorrectly, i.e., erroneously, labelled on Google Maps as "Fiesta Mexicana Bus Station"
Cancun airport has an ADO ticket booth. It is located in the parking lot on the far RIGHT row of where the buses and shuttles are loading and unloading people. If you cannot find it ask anyone where the ADO bus to bus station is located. The bus leaves every 30 mins or so, and costs $40 pesos. When you buy your ticket ask for information about buses from Cancun to Piste or Chichen Itza. You can only buy a ticket one day ahead of departure. Buy your ticket for the next morning. You can also buy a ticket for travel south, for example, Tulum, Puerto Morelos and Playa del Carmen. These three destinations have service every 30 minutes or so. Note also that there are 10 passenger shuttle buses that run to Cancun Airport from Morelos, Playa, and Tulum for approximately $10 to $20 US. Cancun main bus station. Both first class ADO brand and seconnd class Oriente bus lines sell tickets in this bus station. If you buy tickets in the bus station make sure you buy from the ADO First Class Bus company. The ADO ticket counter is to the right when standing in the main double door glass entrance facing the ticket counters. Valladolid is the crossroads hub of the bus lines servicing the entire peninsula. From Valladolid you have available frequent First Class ADO Bus service to Cancun and Maya Riviera and major destinations west such as Merida and Campeche. 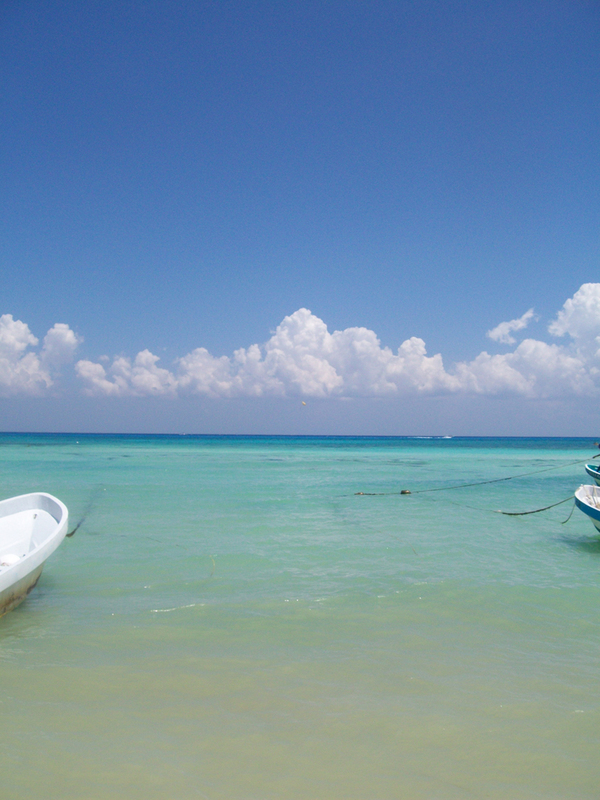 There is travel north to the coast and travel south to the Quintana Roo communities. If there is no first class bus, then there is a system of shuttles and second class bus service that can get you to Coba, Piste, Tihosuco, Sacalaca, Rio Lagartos, Ek Balam, etc. Piste - Valladolid is a 30 min drive. You can easily take a second class bus for $2-3 US or take a Shuttle for the same amount. The Second Class bus goes every hour in either direction. The Piste Shuttle is located very close to the bus station and has traffic rougly every hour until 7pm. The Piste Shuttle passes by Chichen Itza and if you want to stop there just ask the driver. The Shuttle is a 12-14 passenger van. The stop for Pisté is listed but it will always give you an error message. Use "Chichén Itzá" to find the times for First Class buses in and out of Pisté/Chichén. First Class buses (approx. $10) depart Mérida at 6:30am, 9:15am, and 12:40am. From Chichén to Mérida are at 2:20pm and 5:10pm. Second class buses run every hour in either direction and cost 54 pesos or just under $6 US. Use "Chichén Itzá" for routes to Pisté. The Cancun to Chichén Itzá is limited to one run at 9am and takes 2.5 hours. It is very comfortable with B-rated movies and ice-cold air-conditioning that never fails to get me sick with a cold regardless of the season: Take a sweater at least. To avoid taking the tortuous 6 hour 2nd class bus from Cancun to Piste, take a 1st class bus from Cancun to Valladolid which run all day and evening long. Once in Valladolid look for the Pisté shuttle bus for $30 pesos or take the 2nd class bus for $25 pesos. Either leave every hour but the shuttle is shorter trip and can take you directly to where you want to go. A solution to getting to Chichén and Pisté from locations on the Maya Riviera is take a first class bus to Valladolid. Travel time from Valladolid to Pisté/Chichén is 30 minutes. From Valladolid you can take a second class bus for $3. You can also take the shuttle service that is operated by the Piste taxi drivers. This is used by all Piste community members who go shopping or go to school in Valladolid. See above for instructions to find the shuttle. It is cheap: $30 pesos or less than $3 USD. If you are in a real hurry or arrive at a time when the shuttle and buses do not run, then take a taxi from Valladolid for roughly 200 or 300 pesos depending on your Spanish language and negotiating abilities. From Pisté you can get 2nd class buses every hour to Merida (1.5 hours away) or to Valladolid (50 mins). From Pisté to Cancun there are 2 direct 1st class buses, one in the morning and one in the afternoon. The bus from Pisté to Playa del Carmen stops in Tulum, but there is another bus that just goes to Tulum. These have afternoon routes but also a late 1am bus to Tulum/Playa is available for early a.m. arrival on the beach. Taxi service from Pisté to Mérida is approximately 800 pesos. 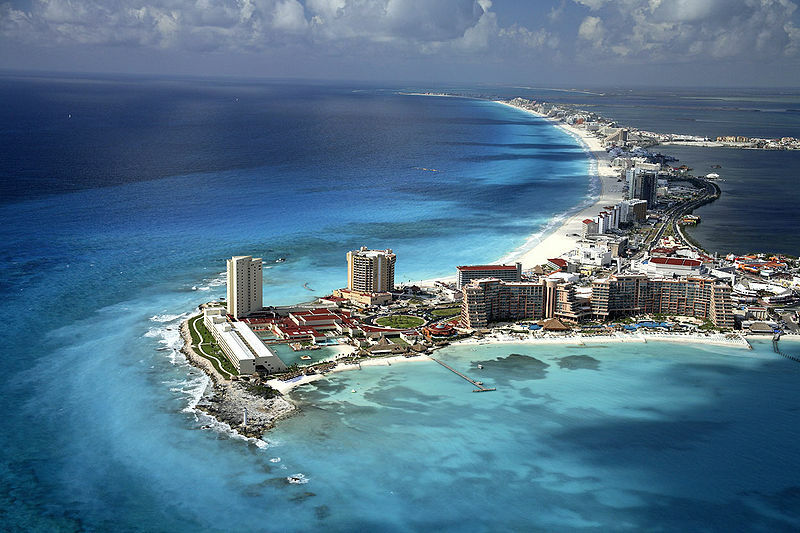 To Valladolid approximately 700 and to Cancun airport about 1500 pesos. ADO Regular is $218 pesos (US$ 19.8) and is basic bus, with movies, 4 hours 20 mins.